Welcome to The Savvy Young Professional Podcast! Did you enjoy this episode? Make sure to head over to TheSavvyYP.com for more tips on how to get ahead in your career,business and life! 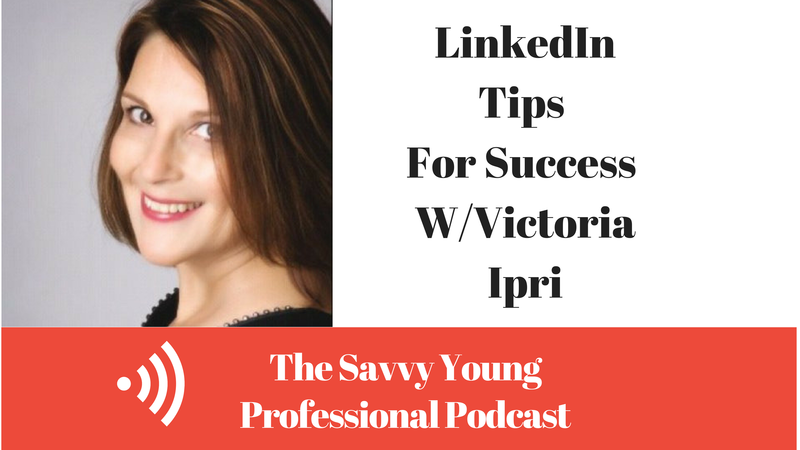 Victoria Ipri is the Founder of Ipri International and the author of the book “LinkedIn for the Clueless and Curious” a comprehensive guide on how to use LinkedIn for more than just a place to park your resume. -Why LinkedIn groups are considered gold!